Not all of us live in Hollywood, with movie stars in every coffee house and (more importantly!) 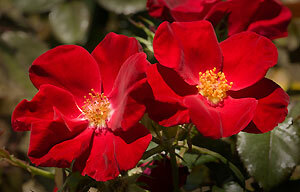 great weather to help our roses and other plants flourish in our gardens. Fortunately the research team at Weeks Roses has this in mind when introducing new varieties each year. 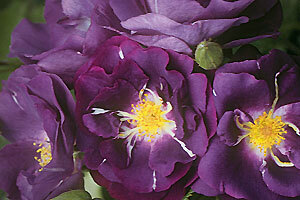 Weeks Roses has plants in all colors and sizes that thrive in cooler climes. From the delicate warm pink, long stemmed beauty Falling in Love to the deep purple climber Night Owl there are roses that will beautify your “cool” garden. Some roses even prefer the cooler air, helping them keep their vibrant color even longer than in hot, sun-drenched regions. New introduction Cinco de Mayo, with a festive blend of smoky lavender and rusty, orangey-red ruffles, celebrates with even more spectacular colors in temperate areas. Both Iceberg sports, Burgundy Iceberg and Brilliant Pink Iceberg perform well in colder weather. The bi-colored petals on All-America Rose Selections recipient About Face maintain their unique dark orange coloration on the outside of their petals longer in mild temperatures as well. As for bi-colored flowers, the melon orange with a blush of red Chris Evert not only present more saturated hues but also awards gardeners with larger blooms. Another AARS winner, Dream Come True, pumps out larger ‘dreams’ in cooler temps. As for shrubs and smaller varieties, Cape Diamond prefers northern regions, surviving without winter protection even in zone 3. This pure pink gem is a showy bloomer with incredible disease resistance. Cape Diamond works as a spreading shrub or trained as a climber. 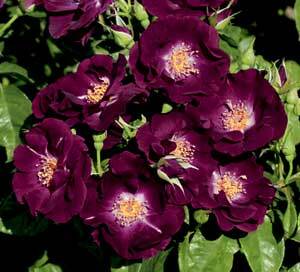 Rhapsody in Blue, carries a tune of smoke-blue and purple flowers while favoring a mild climate. Another compact powerhouse is Home Run, with flame red clusters that hit their deepest when cool. Coffee Bean is a miniature with large rust and smoke blooms that also favors the cold. Even some climbers prefer and flourish in cool weather. Candy Land is a swirling mix of pink striped in ivory yellow. She is an easy to care for rose that blooms and reblooms even in the first year. Lemon Meringue is a hardy chiffon lemon yellow climber that increases in size and presents deeper colors when cool. 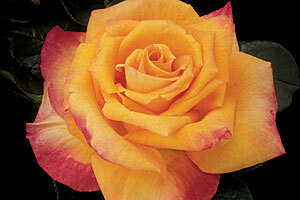 There is a complete list of cool loving Weeks Roses varieties in the resources area of the Web site.